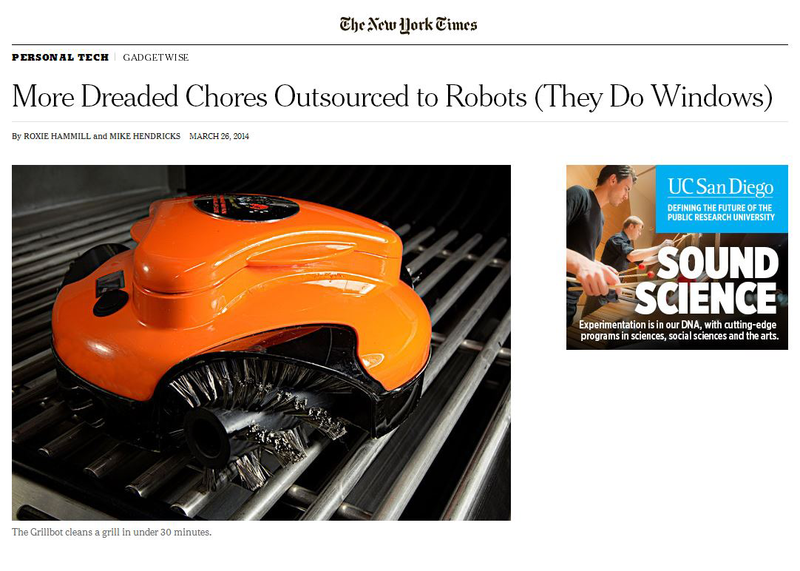 Congratulations to our Client Grillbot for their feature in The New York Times! This nifty little robot is the answer to all those cleaning woes that arise after firing up the barbecue grill. Tidying up is as simple as placing this battery-operated self-cleaning device on the grill, pressing the button, and letting it scrub away with its mighty trio of washable and replaceable brass or steel brushes. The smart LCD timer and alarm will signal when cleaning is complete. Youâ€™ll never have to miss another minute of the game or your party by letting the Grillbot do the cleanup for you.